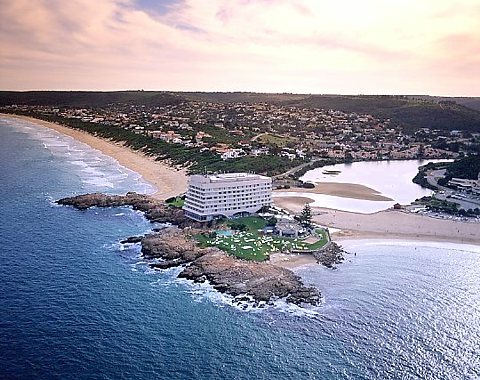 Plettenberg Bay is commonly regarded as the jewel of South Africa's Garden Route region. It's more than a village, less than a town. Plettenberg Bay is tranquil and charming, hospitable and rather special. Originally and rightly christened "Bahia Formosa" (beautiful bay) by early Portuguese explorers Plettenberg Bay, or simply Plett to the locals, can be accessed by first class national roads, by sea or by scheduled air flights. Plettenberg Bay is characterised by sweeping, unspoilt golden beaches, a dramatic rocky peninsula, intriguing lagoons and estuaries, lush indigenous forest and unpolluted rivers and sea. With its exceptional climate, breathtaking scenery and beautiful views over the Indian Ocean, Plettenberg Bay is perfect for tourists interested in exploring, watching or just lazing. Plettenberg Bay is home to the rare Knysna forest elephant, teaming wildlife, vast expanses of Cape flora, delicate ecosystems in wetlands and lagoons, gigantic trees, and a bay large enough for the great whales of the Southern Ocean to calve in and protect their young. 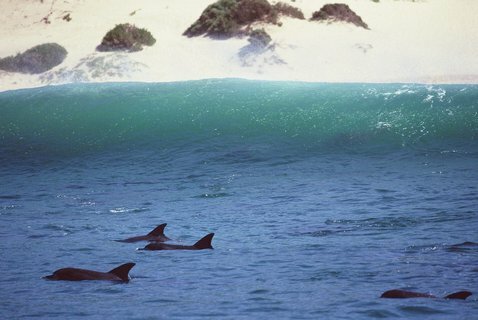 An hour’s scenic drive from George Airport and two hours from Port Elizabeth Airport, Plettenberg Bay and environs stretches from Harkerville through to Nature’s Valley and Storms River, some 80km along the N2 national road that connects Cape Town in the Western Cape to Port Elizabeth in the Eastern Cape. Be inspired by Plettenberg Bay with its abundance of unique tourist attractions and endless stretches of unspoiled golden beaches – excellent year-round land-based and water-based activities. 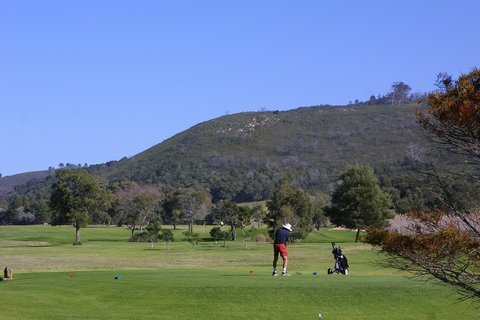 A myriad adventure and other sporting activities include 18-hole championship golf courses, polo championships, spectacular walks and hikes and many a magnificent country meander that will keep you spellbound. Adrenalin junkies will be spoilt for choice with world renowned land, air and water extreme sporting activities such as the world’s highest bungi jump and adventure events like the Robberg Express, a multi-disciplined adventure race held in the Robberg Marine and Nature Reserve. 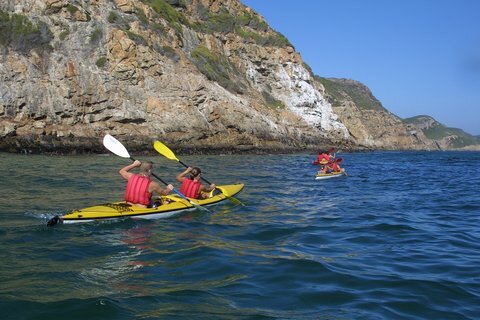 Click here to see more activities and attractions in the Plettenberg Bay area. More than 100 species of fish are known to occur along this coast. Fish found on the reefs are highly susceptible to exploitation and marine reserves play an important part in restocking overfished areas. Some of the finest soft coral reefs in the world are found here with sponges, starfish and many shellfish including our unique Pansy Shell.Common marine animals are dolphins, whales and seals. During winter months the spectacular Southern Right Whales are resident in our bay when they arrive up from the southern oceans to calve. The small Cape Floral Kingdom between Cape Town and Grahamstown (0.04% of the world's land mass) contains 8500 different flowering plants. This is more than is found in the Entire Northern Hemisphere. There are 27 common species of Ericas in this area, a great many wild proteas and an extensive list of geophytes. Although the largest tract of natural forests in South Africa, only 65 000Ha of the original forests remain today. The Outeniqua yelowwood or kalander is a true forest giant reaching over 50m in height. Other magnificent specimens are the ironwood and stinkwood trees. Our forests also harbor many species of ferns including the seven week fern, prolific in the Tsitsikamma area, as well as a profusion of colourful lichens on rocks and trees and many species of mushrooms. Plettenberg Bay is famous as one of the most beautiful resort areas in South Africa,enjoying one of the world's mildest and most temperate climates in winter and summer, with over 300 sunshine days a year. It also boasts warm sea temperatures and less wind than many other coastal resorts. Flanked on three sides by the magnificent Tsitsikamma mountains and the Indian Ocean to the East we are surrounded by lush indigenous forests. The peninsula of Robberg extends some 4 km eastwards into the sea and acts as our natural barrier against the prevailing winds. Just a few kilometers away the rainfall doubles, providing perfect conditions for the wide variety of indigenous flora and fauna found there.